5K to prevent domestic violence against Women and Girls - The brothers of OHL will walk and volunteer during the UN Women's (National Capital Chapter) Annual Walk. The walk will begin at Gateway Park, proceed through Georgetown and Dupont Circle and will end with a closing ceremony at Logan Circle. Brothers at the Ballpark started in 2009 the Brothers of Omicron Eta Lambda will wear the Black and Old Gold to Nationals Park to cheer on the Washington Nationals. Exact details will be listed on the calendar of events. 2012 Annual Martin Luther King Jr. Commemorative Program at the Smithsonian Institution. 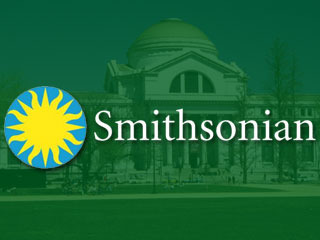 The event will be held in Baird Auditorium at the National Museum of Natural History, 10th Street and Constitution Avenue, Northwest, Washington, DC, on Friday, January 13, 2012 from 7:00 until 9:30 p.m. The program will begin with welcoming remarks from our director and feature a keynote address by Harry E. Johnson Sr., President and CEO, Washington, D.C. Martin Luther King Jr. National Memorial Project Foundation. The Brothers of OHL will perform a step exhibition to accompany the program. The "1906 Food Drive" is an initiative to collect 1,906 non-perishable food items and distribute them during Alpha Week to So Others Might Eat (SOME) a interfaith, community-based organization that exists to help the poor and homeless of our nation's capital. A partnership with SOME in the form of a food drive correlates with our Fraternity Principles: First of All, Servants of ALL and We Shall Transcend ALL. WFOP is a community based coalition of concerned individuals and organizations, formed in 1988 in Washington, DC. Its purpose is to find creative and effective ways to commemorate the works and life of Dr. Martin Luther King, Jr. WFOP has annually provided a nutritious meal and warm clothing for homeless citizens in the nation’s capitol during the nationally recognized ML King Holiday as a way to continue to draw attention to the plight of the poor and neglected. Along with other DC Pan-Hellenic Chapters let's get out on Monday, January 16th and help keep the work of our fellow Fraternity Brother and great hero alive. For more information contact Brother Bryan Hill. Formerly known as WalkAmerica, the March for Babies took place on Saturday, May 3, 2014 at Nationals Park. The walk is designed to celebrate babies born healthy and to raise funds for babies who need help to thrive. Omicron Eta Lambda will assist the National Capital Area Chapter of the March of Dimes in its annual walk. A date for 2014 has not been set yet. is the newest initiative of OHL, it is aimed to help males develop assets necessary to make health life choices, set realistic goals, act with determination andultimately build vibrant successful lives for themselves through direct contact and relationships with caring and positive role models. Onward and Upward is made up of Alpha Brothers that subscribes to the WEB Dubois [Talented Tenth] theory that it will take the 10 percent of enlightened African Americans to reach out to the rest of our race and provide the leadership needed for us to fully obtain and reach their goals.